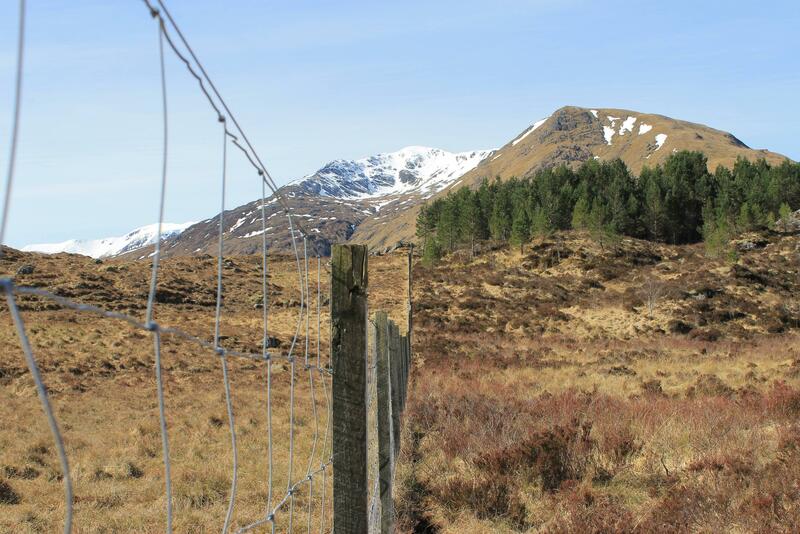 Trees for Life (TFL) is “Scotland’s leading conservation volunteering charity,” working to restore the Caledonian Forest in the Scottish Highlands. The forest once covered vast areas of the Highlands, but has suffered from massive deforestation and overgrazing by deer and sheep. TFL own the 10,000 acre Dundreggan Estate (complete with tree nursery) but also work with many other organisations (such as Forestry Commision Scotland and The National Trust for Scotland) and private landowners to help regrow the Caledonian Forest across the Highlands by planting native species, removing non-native species and fencing areas to protect from overgrazing. 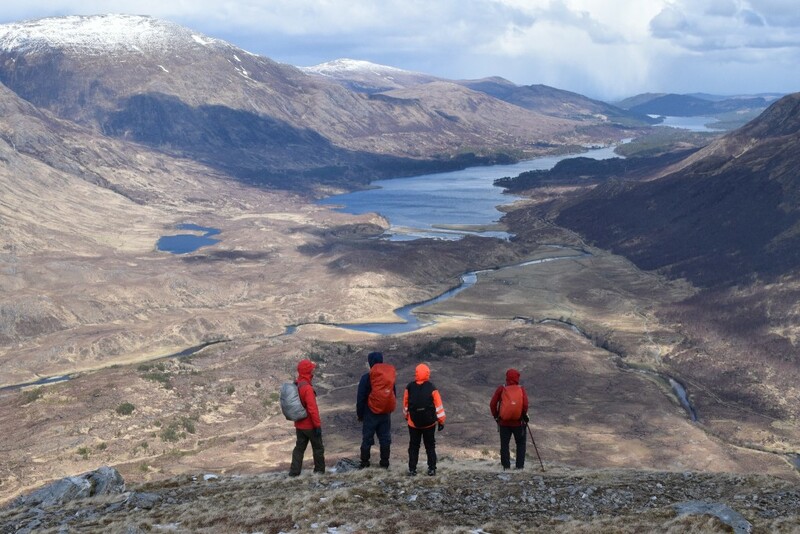 One of the places they do this work (and, in fact, the place they started 25 years ago – you can see the very first planting site below) is Glen Affric (about 15 miles west of Loch Ness). It was here that I was lucky enough to spend a week volunteering with TFL, staying in the recently revamped Athnamulloch Bothy. With no internet connection, no phone signal, no electricity, and no running water it was a chance to get back to basics and “get away from it all” for a while, but also to try and give something back to a planet that we, as a species, are increasingly devouring to the detriment of all. First ever Trees for Life planting site. What a difference a fence (to keep the deer out) makes! Photo courtesy of Ella Furness. TFL’s conservation work falls under the category of “rewilding” which is aimed at “restoring and protecting natural processes and core wilderness areas, providing connectivity between such areas, and protecting or reintroducing apex predators and keystone species.” The goal being to create self-sustaining ecosystems that can be left to run wild (give or take) without the need for constant human interference. These are the same ecosystems that would be occurring naturally if it hadn’t been for prior human interference in the form of industrial agriculture, over-logging, etc. Trees are a vital part of these ecosystems, but longer-term goals also include the reintroduction of wild animals such as the lynx, beaver and wolf. With all that in mind my fellow volunteers and I were tasked with planting hundreds of native trees in suitable areas. 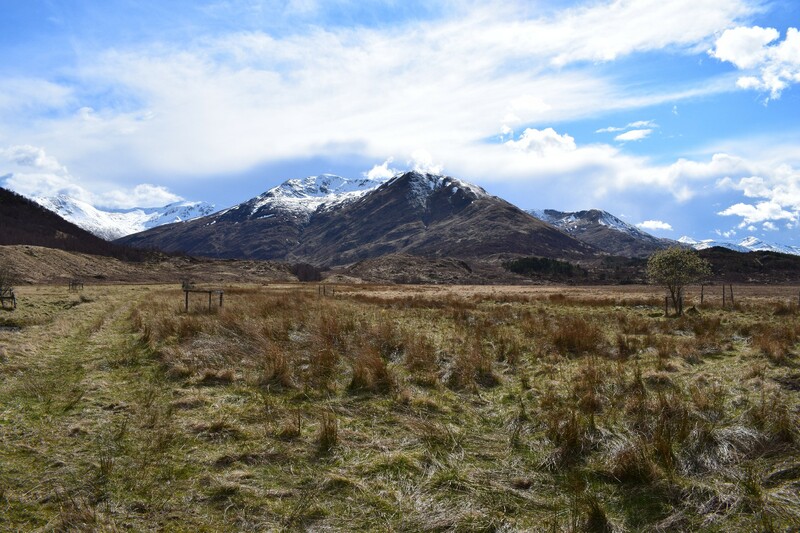 We planted downy birch and alder which are both “pioneer species” designed to help colonise damaged ecosystems in order to support more species in future. Alder, for example, is a deep-rooted tree that thrives in wet areas and is commonly found near river banks (where it can help prevent soil erosion). A bacterium (Frankia alni) grows on the Alder’s roots and helps to absorb (or “fix”) nitrogen from the air and make it available to the tree. Over time this helps to create increasingly fertile soil which can support additional species (especially climax species), such as the slow-growing Scots Pine“. This whole process is known as ecological succession but it can only occur when an ecosystem is suitably robust and diverse, which is why it’s important for us to plant new trees in order to kick-start the various processes that should be occurring naturally. Eventually these new trees will lead to further natural regeneration (as trees produce seeds that can begin to find homes in suitable soil), but without a little push to get things moving, the degraded habitats would likely remain stagnant for a long time. To help give each sapling the best chance of survival we used a planting technique pioneered by Trees for Life known as “inverted turf mounding.” This involves digging a hole, but rather than simply discarding what is unearthed, the turf (or plug) is popped out of the ground intact, flipped upside down and poked back into the ground. With this method surface vegetation and roots are buried beneath the exposed soil (and will gradually decompose to further enrich said soil) and the new tree is given some breathing room to get growing with a little less immediate competition. This technique requires a lot more time and effort than simpler planting methods, but it’s worth it to give each little tree the best possible start in life. Looking down the glen (you can just make out the bothy) on the way back down the mountain. It wasn’t all about the trees, though. As Trees for Life says on its website the “work is about people as much as places.” I was joined by a diverse group of volunteers that included all age groups and backgrounds ranging from zoology student to retired RAF pilot to geologist, and beyond. It was a pleasure to spend time with and get to know people who were so different from one another, yet all brought together by a shared passion and love for the outdoors, conservation, and wild places. For our mid-week day off a group of us decided to climb a nearby mountain (because, you know, it was there). The weather behaved flawlessly and we had clear skies and sunshine for much of the ascent towards the snowy peak over 1000 metres up (my first ever Munro)! You see there are a lot of trees that must be conserved and we have to work on that and be careful with its usage.